Every relational system operates on affect, or as we often call it, feelings. New scientific insights often implies new philosophical and existential questions. Artistic and scientific research are continuously part of challenging and changing our perspectives. The artist as a directly and an indirectly conveyor and interpreter of new knowledge and research, plays a crucial role for society’s abilty for both having a proper insight, as well as being able to maintain an adequate discourse, regarding the use of new technologies and scientific advancements. Biotechnology, nanotechnology, neurotechnology and new communications and computing technologies represent examples of tools that give artists the opportunity to develop ideas beyond known limits and to create entirely new concepts for artistic content and presentation. Artistic activities at its best has always been the basis for new acknowledgments and new insights. The artist as a deliverer of ideas and a catalyst in various fields of research contributes to expand scientific perspective and creativity. The biennale Meta.Morf shall for a broader audience amongst other present artists, musicians, writers and researchers with projects and performances that in different ways contributes in expanding our perspectives on life, and beyond. Trondheim Municipality, Arts Council Norway, South-Trøndelag County Council, PNEK, NTNU. TEKS is the organizer of Meta.Morf. TEKS – Trondheim Electronic Arts Centre is a non-profit organization founded in Trondheim in 2002. The organization is a resource and competence centre that aims to realize techno related art projects within all art disciplines. TEKS initiates and organizes artistic productions and projects, works with promotion and education through courses and workshops, and acts as organizer or coorganizer of various techno related cultural initiatives. 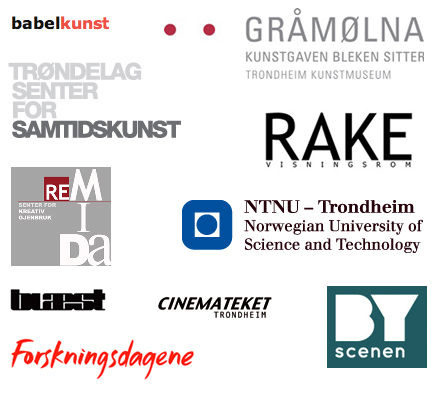 TEKS is in 2012 funded by the Norwegian government, the Arts council Norway and Trondheim Municipality. TEKS is a member of PNEK, Production network for Electronic arts, Norway.